reader | Little miss obsessive's anatomy!! 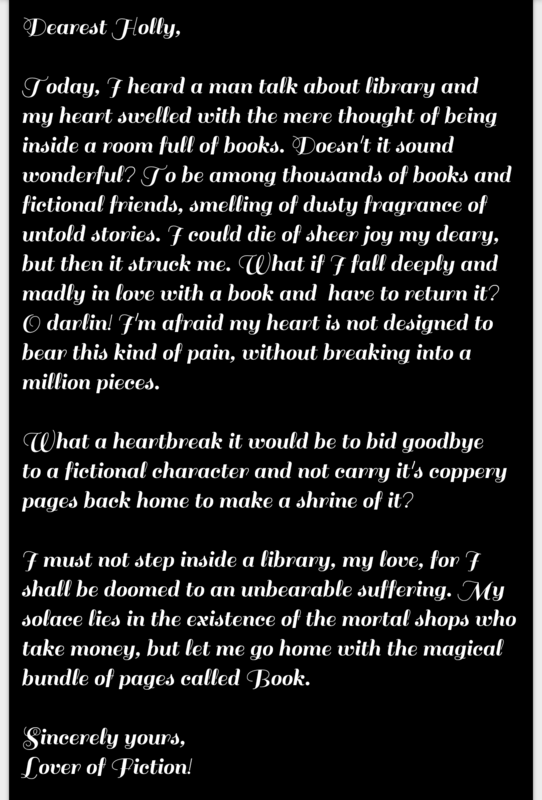 Letter to a fictional character…!! Now I have multiple options but I shall address you with the title Ellen used to tease you. I have met a handful of fictional characters, but my darling Davie Balfour none has ever enchanted me like you did. Is it strange for me to fall in love with your manipulation and selfishness of taking, though Ellen did a fine job at that by teaching you more about giving? But I wonder whether your calling out to Maddie on the bridge and making her fire that shot was giving or taking? I wonder if you gave her chance to save herself from witnessing the cruelty about to fall on her best friend or if you took her soul by forcing her to end your horror. O Julie! I wonder if Ellen ever found out what happened to you. I keep imagining her reaction to the death of the girl she had the crazy Sherlock Holmes kind of summer with. I wonder if Maddie and Ellen ever came face to face and if they did what they talked about. I picture them sitting over a cup of tea talking about how stubbornly mysterious you were. Jamie sitting next to them looking at them and missing his favorite sister. I don’t know if I’ll ever get more of you from the author but boy am I glad for the prequel. I try to picture you as Therese Belivet only more confident, cunning, gorgeous and mysterious. I’ll always miss you Julie. 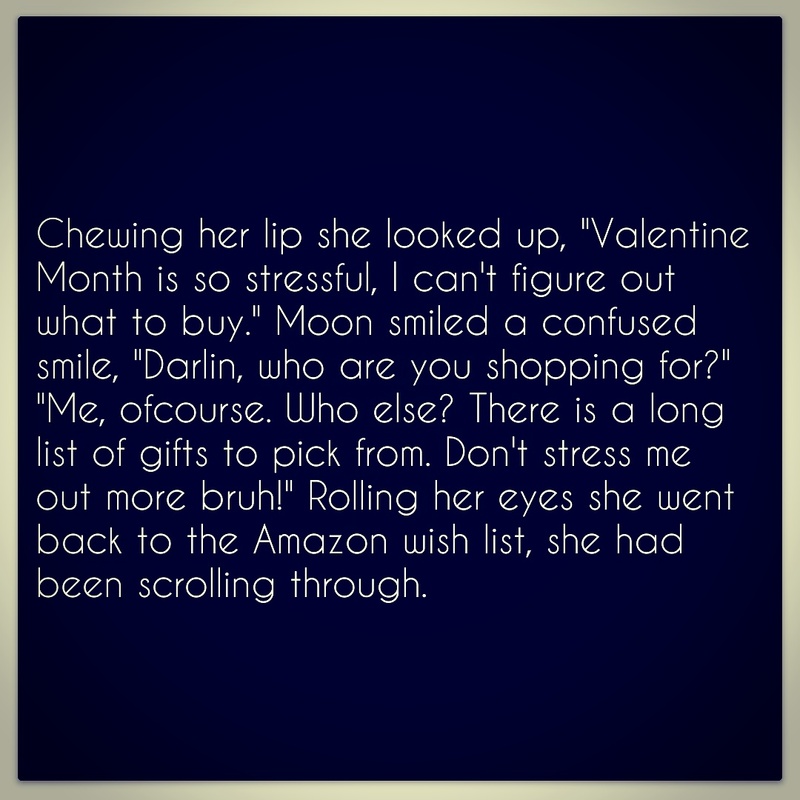 O Miss Golightly, is it a sin to fall in love with every book? She died. They killed him. hAPPY & bLUE…sO WHAT’s New? So i spent half of my day thinking about the episodes, seasons and movies that i could choose from for Friday night…Elementary? Suits? The Lying Game? Big Bang Theory? The Killing? Winona Ryder movie? Jodie Foster movie?…And i end up doing a marathon of S3 PLL…!!!! Have you ever envied someone else’s sadness? I have. Sometimes when I hear a friend talk about something that makes him/her sad, I silently wonder if I could have their sadness and let go of mine. Crazy? I know. Pain is pain, small or big. Mine is comparatively the smallest one in the whole world but the fact that it lives inside me all the time makes it feel big so big that I don’t know what to do. Though I’m in a happy mood right now, I don’t know why I’m talking blue. 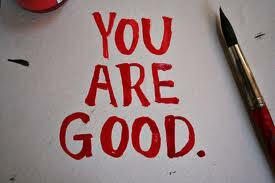 Telling yourself ‘you are a good person’ again and again is a lonely and sad thing. Sometimes when I do something good, even a tiniest good deed, I end up thinking about it again and again wondering if people notice. Why? I want to assure myself I’m a good person, I’m not a bad soul and I deserve to smile too. 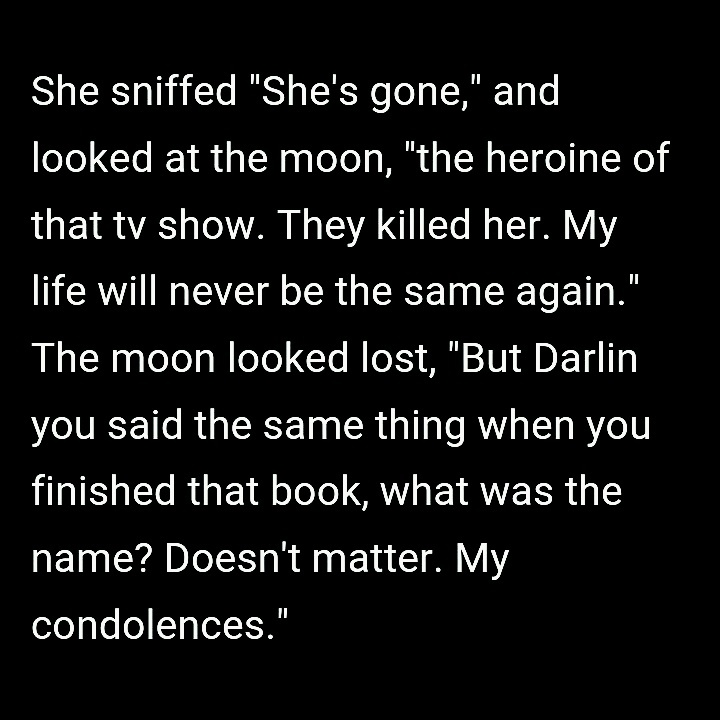 2-3 days back a friend said something about some TV show which hit me hard. It was a harmless conversation about TV shows and all and then the friend said something, totally unrelated to me or us but the comment fell on my pain. It happens when you hide things people end up walking over your pain because they don’t know it is hurting. I have a busy weekend but I hope I get to write few page of my story. Today I was thinking about Dominique a lot and maybe I would be working on it because I miss it. 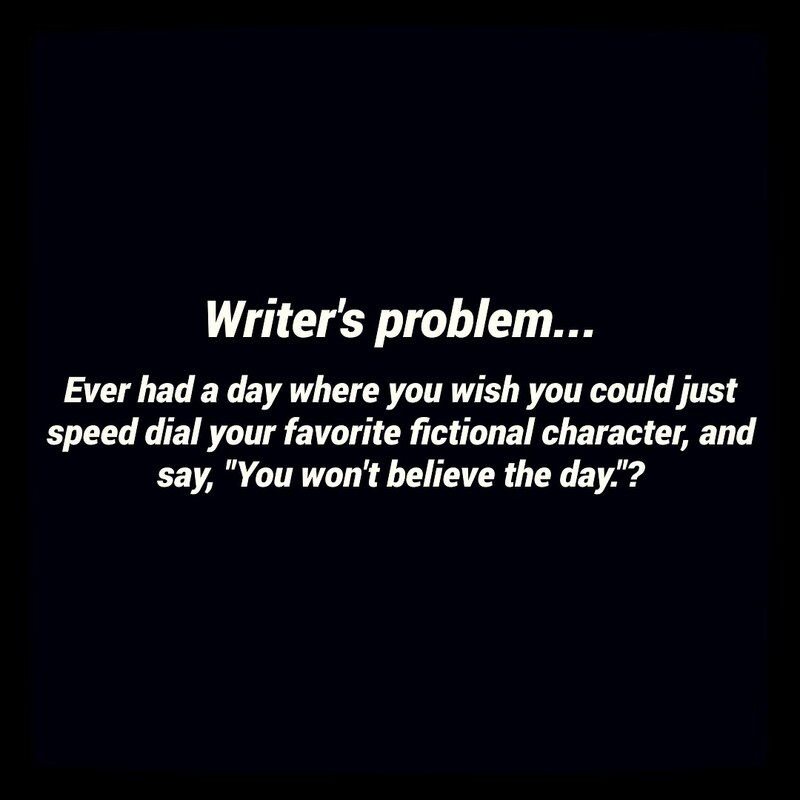 Actually I miss being honest and myself, I pretend all day all night but writing makes me honest. Dominique is the most honest work of mine because it has a story I would like to share but wouldn’t dare to. So now it’s too late to watch the Winona Ryder movie that I downloaded because a part of me wanted to watch her movie. I thought about watching “Reality Bites” or “Little Women” again but then I found a new movie. I can do a Winona and Meg Ryan marathon anytime. Its 3:30 AM and I don’t want to fall asleep, I want to stay awake, I don’t know why. I just want to sit and talk, since I can’t talk to anyone I’m babbling here. I finally finished my Mary Higgins Clark thriller and it took me ages. I used be such a quick reader but it was like a long time ago. It’s going to be a busy weekend and I’m hoping to take out time for a movie because I need a large screen fiction therapy. I think I can manage one episode before I actually turn off the lights, pilot episode of ‘The Killing’ maybe.